NU'EST W postponed their 'Double You' concert in Jakarta for another year. On May 5, Pledis Entertainment released an official statement that NU'EST W's concert 'Double You' in Jakarta will be postponed until next year. The original date of the concert was May 12th of 2018,�but external circumstances have led them to change it to an undecided date in the far future. Hello, This is PLEDIS Entertainment. We would like to thank you for many love and support you have shown for NU'EST W CONCERT 'DOUBLE YOU'. Unfortunately, NU'EST W CONCERT 'DOUBLE YOU' in Jakarta on Saturday, May 12, 2018, is postponed to next year due to unforeseen circumstances. We express our sincere apology for fans who have waited for [NU'EST W CONCERT 'DOUBLE YOU' IN JAKARTA]. We would like to ask you for understanding. We look forward to meeting all fans in a better show soon. For the ticket refund process of the postponed NU'EST W Jakarta show, please refer to the local promoter's social media page. We will try our best in taking care of the refund process as soon as possible to avoid further inconvenience for fans. [NU'EST W CONCERT 'DOUBLE YOU' IN TAIPEI] is not affected. It will still be on May 26, 2018, as scheduled. 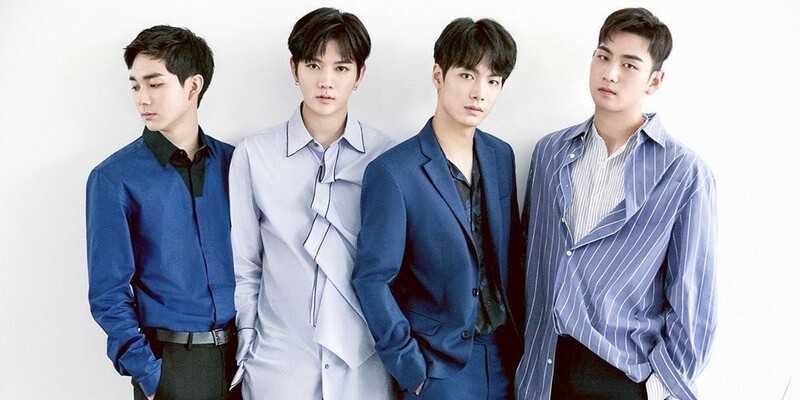 Unfortunate news for NU'EST W fans in Jakarta, but let's hope that they reschedule soon!